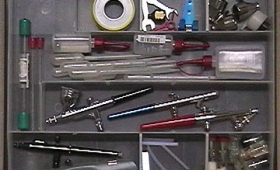 All kind of airbrush equipment for airbrushing on different surfaces. 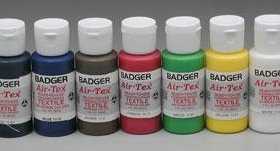 All of airbrushing equipment are OK but some off them are more known and acording to some folks better. 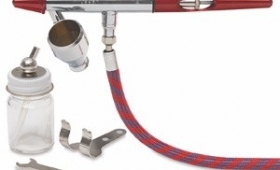 Aztek Airbrush Equipment, Badger Airbrush Equipment, Iwata – Medea Airbrush Equipment, Paasche Airbrush Equipment are all well known airbrushing brands. 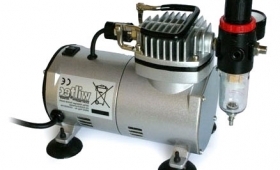 Airbrush compressor which airbrush compressor to buy ??? 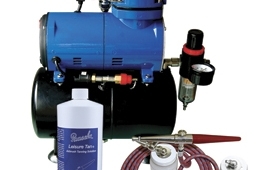 where to buy airbrush compressor ?? ?